Very elegant and lucky dress being sold due to growth. 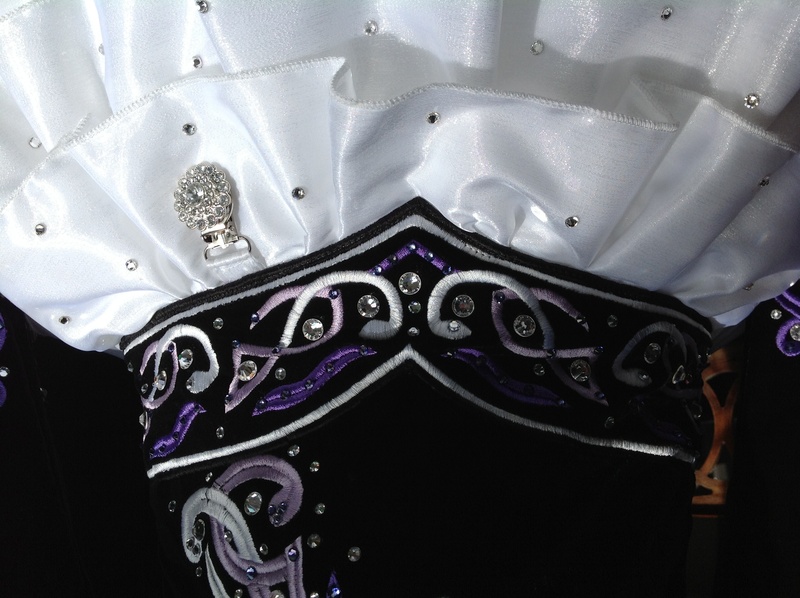 We have added $350 of genuine Swarovski clear and purple crystals. 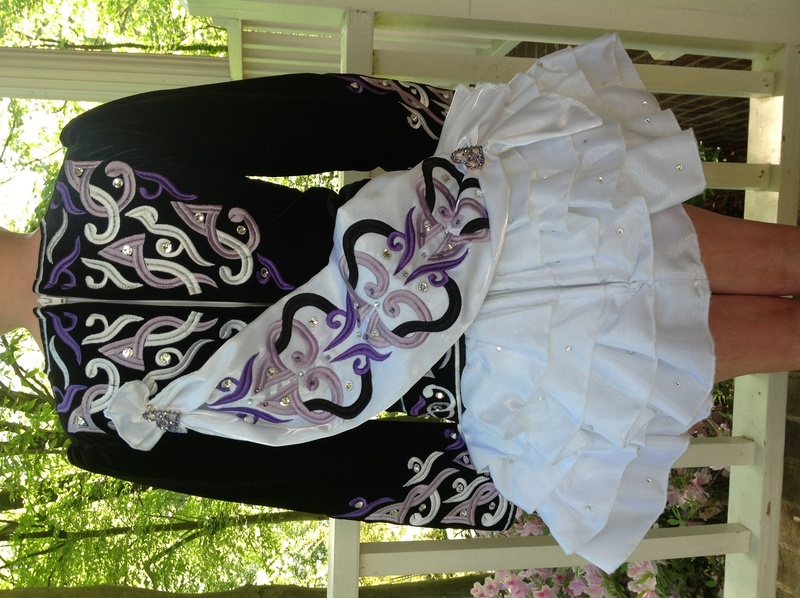 Bodice is made of black velvet with lavender, dark purple and white embroidery. White twinkle satin skirt with tons of Swarovski crystals. No marks on skirt, kicks or tanning. 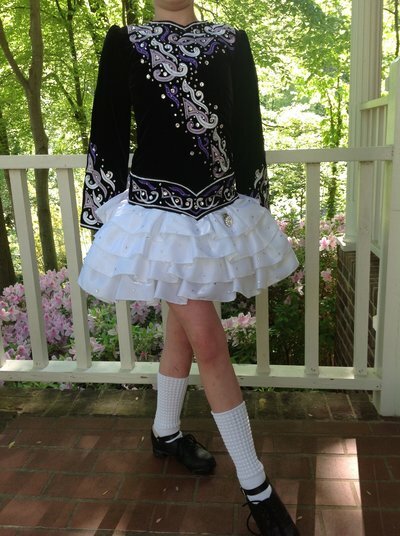 Every feis it receives numerous compliments and has lovely stage presence. It has been stored flat and covered. Comes from a smoke free home and we promise the dog has not worn it , even once. Under Armor shirt worn or dress shields, no odors. 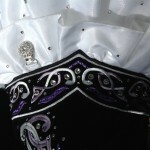 Comes with large crystal barrette and matching padded Swarovski head piece, two crystal brooches at base and top of shawl. It is in pristine condition and includes a small bag of loose crystals. Room for 1″ let out and down. 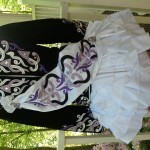 Bottom ruffle can also be removed to shorten. Asking Price: $US925.00. Shipping costs are included for my own country, overseas shipping is extra. Will accept returns and refund the cost of the dress, buyer to pay all shipping costs.